Prince MM Korea Veterans Association Unit 76. 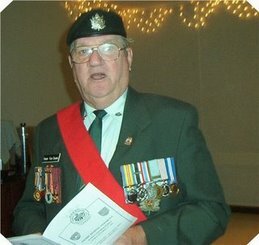 We thank Branch # 4 Royal Canadian Legion. 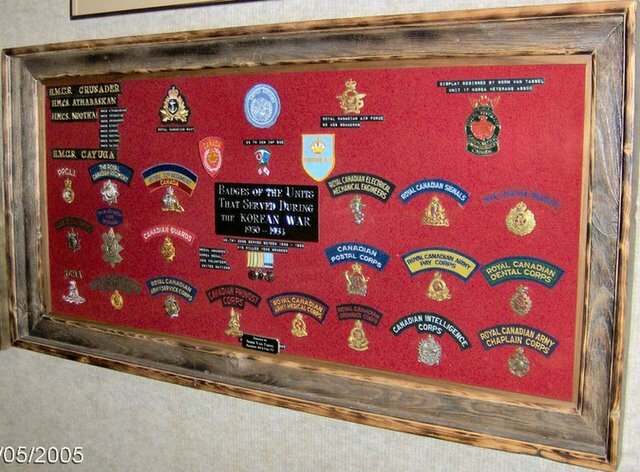 This plaque was made up by Norm Van Tassel and is presently on display at 283 ANAVETS, 3584 Portage Ave., along with other items that are displayed on the Korea wall that they so kindly allowed us to put up in their unit. Click on picture for larger view. 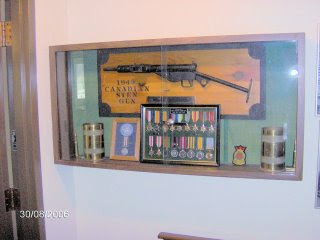 while a member of Unit 46 KVA Saskatoon and Unit 283 ANAVETS put this display together with the help of Lynne, his wife. It is on display at 283 ANAVETS 3584 Portage Ave., Winnipeg, Manitoba. We thank the ANAVETS President and Members for allowing us to display these memories of Korea and to Tony Lozinski for doing the frame work for us. It is enjoyed by all. 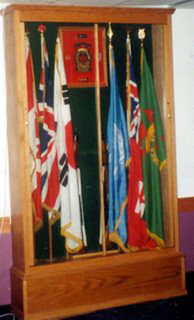 While President of Unit 17 KVA Norm had this cabinet built to hold the original flags of Unit 17 KVA, the KVA Crest and 2 Lee Enfield Rifles that were used in Korea that have their barrels filled with lead and are used as a show piece. New flags and poles were purchased through profits from the convention funds. The original flags for the Unit are now on display at ANAVETS 303 Rockwood 341 Wilton St.